Having received a healthy diet of Strunk & White in school, I picked up this book for the witty title alone. 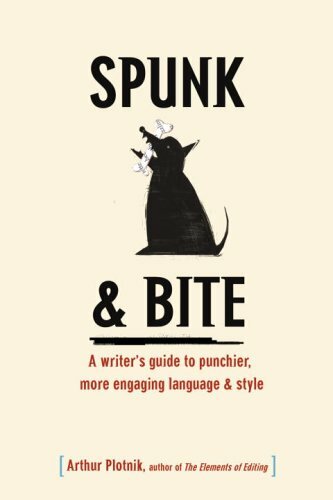 Though replete with examples from well-known authors, it's Plotnik's own punchy style that lends authority to each of his points. Now twelve years since publication, his guide to contemporaneity and use of pop culture references seems even more relevant. My copy is now well-marked with a Ticonderoga #2, as most of the suggestions are practical for writing of any form. I'm hopeful it has a decent shelf life as a useful reference now and again.